At last count, J.B. Pritzker and Gov. Bruce Rauner have spent a quarter of a billion dollars on their respective primaries and in the general election. In many ways, the two mega-wealthy men vying to be Illinois’ next chief executive parallel one another: they share a background in business, they both observe Jewish holidays, and both men’s mothers faced mental health challenges. But in many other ways, they diverge: while Rauner’s upbringing was comfortable, Pritzker’s family has been extremely wealthy for generations. Likewise, their political worldviews are radically different. How did these candidates arrive where they are today? What does Pritzker’s life tell us about how he would govern? And how does Rauner’s life help explain the nearly four years he’s been in office and what he might do if re-elected? 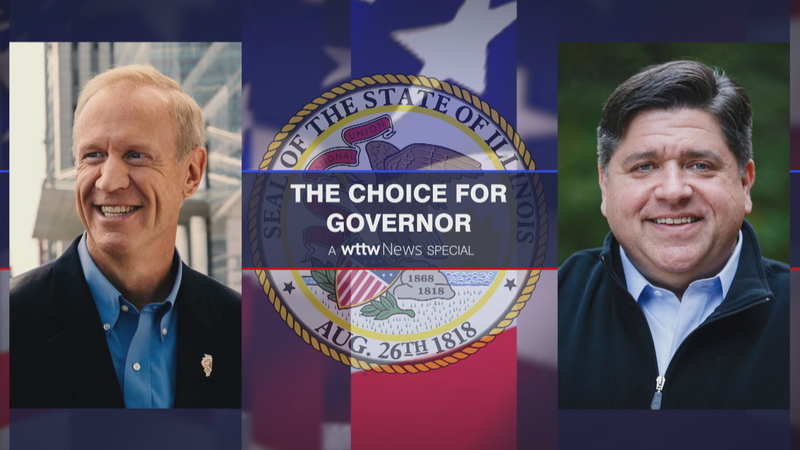 This WTTW News special takes an in-depth look at the two major party candidates for governor, beginning with Pritzker. While the fact that he has never held elected office won’t necessarily keep him from getting elected, it could prove a challenge should he take office. Illinois is a big state with big problems and complicated politics. And a lack of experience navigating its political terrain has been among the challenges for the state’s current governor, who is featured in the second half of the special. In addition to Pritzker and Rauner, libertarian Kash Jackson and independent conservative Sam McCann are also vying for the state’s top job. Both face long odds in a state where, as in the rest of the nation, Democrats and Republicans typically dominate. Also dominant in this election: money. The hundreds of millions of dollars spent in this race has been covered extensively, but it bears repeating that whichever man is elected, he will have spent a massive amount of money – much of it his own – to win. It also bears repeating that the state’s next governor will face a state still recovering from a two-year budget impasse, and with major structural problems like a shrinking population, $7 billion in unpaid bills and $250 billion in unfunded pension liabilities. Despite the looming problems and the relentless attack ads, the candidates have also presented optimistic visions for Illinois’ future: thriving higher education, a booming economy, a balanced budget. As is always the case, the trick is turning those campaign dreams into political reality.